I have been thinking of ways to use the Baked Tofu I made. I wanted something fast and with little effort. 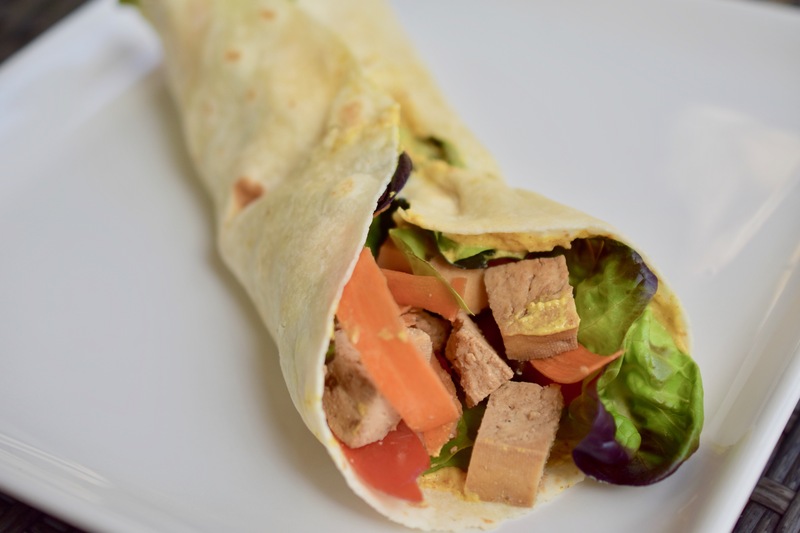 This is what I came up with – Baked Tofu Wrap. I tend to over-fill my wraps, burritos and such, so I will put minimal ingredient amounts. Spread spicy brown mustard onto tortilla/wrap. Layer lettuce, carrot ribbons, tomato and the diced tofu.